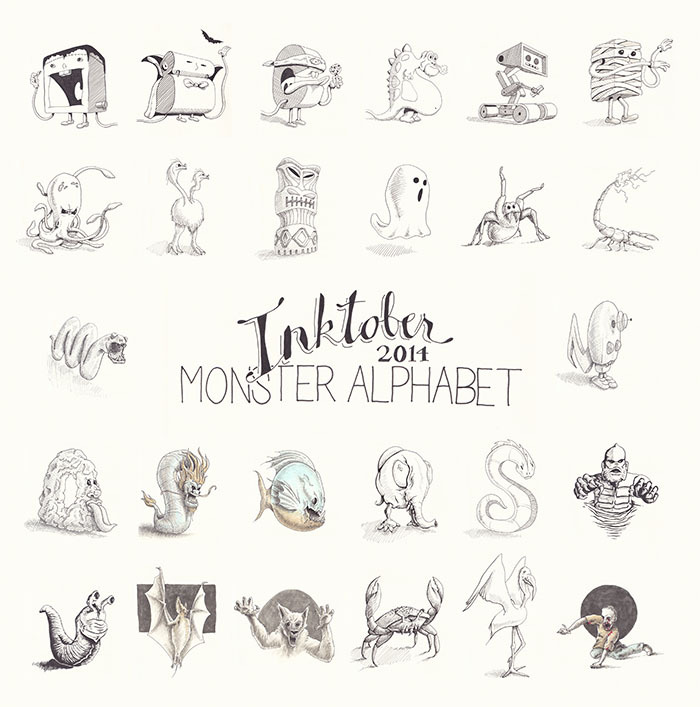 For 2014, I decided to stick to a theme and create a “monster alphabet”. This was my first year participating. It was challenging, a lot of fun, and most interesting was to watch how my sketches changed from the start to the finish.